The horizontal navigation gives you easy access to every section of iJoomla SEO. 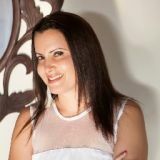 Our old Keywords Manager had been causing a few problems, particularly syncing with third party extensions such as K2. So we made a lot of changes. This completely new version won’t populate the Keywords Manager automatically from your articles keyword tags. Now you have complete control. You can enter as many keywords as you want manually, separating them with commas. You will be able to focus on the keywords that really matter to you — and you won’t have any more sync issues. 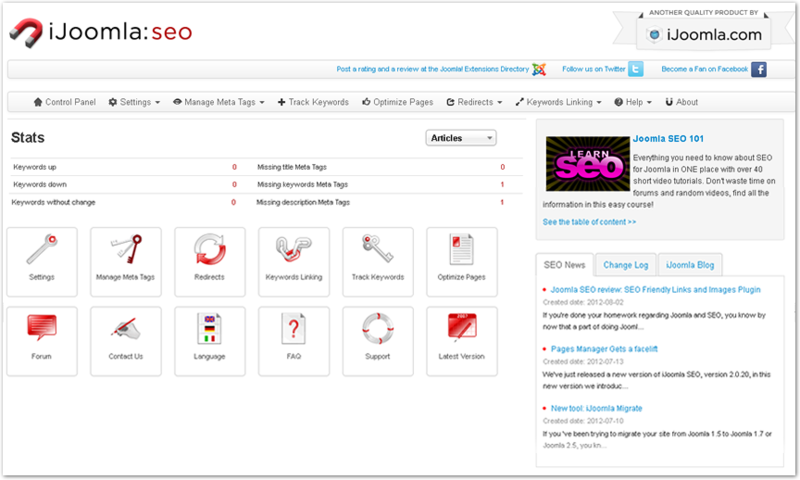 Now you can install and update iJoomla SEO with just one click. Just click the Install button on the Installer, and it’s yours! When we next release a new version, you’ll receive a notification and will be able to upgrade easily by clicking the Upgrade button. This version was tested thoroughly. We can’t guarantee there are no bugs at all, of course, but I don’t expect you to find many. What can you do with iJoomla SEO? Manage all your meta tags in one place. Optimize your pages for search engines. Automatically add alt tags with keywords to images. Create automatic links to reinforce your keywords. Create indirect URLS with nofollow to stop your site bleeding. 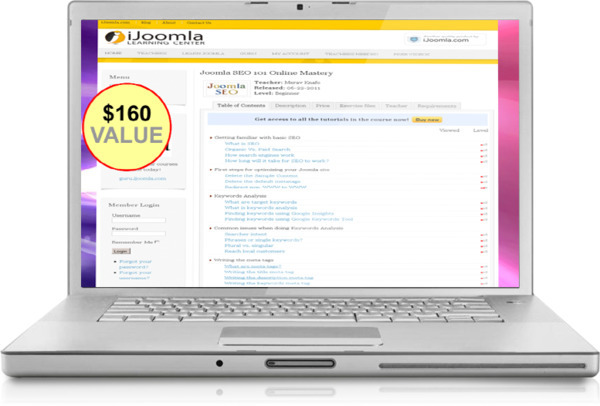 Buy today, get access to our Joomla SEO course! Place your order today, and you’ll learn everything you need to know about Joomla and SEO! With 52 easy and short tutorials, you’ll be able to take your site’s SEO to the next level. Don’t waste your time searching the Web for outdated articles and dodgy practices. We’ve collected all the relevant, up-to-date and effective information you need in one place! Everybody agrees that doing SEO is one of the most boring and mundane tasks ever! iJoomla SEO will save you a ton of time so that you can spend time doing the things you enjoy! Buy it today and get your life back. Starting at only $77 for a "Try it now" plan!